Sonoma Recycled Bio Pack 40 Pk 8-3/4x6-1/2x3-1/2"
8-3/4 x 6-1/2 x 3-1/2" - 100% Recycled Kraft Sonoma Take Out Boxes by the 40-Pack feature poly liner and are microwave safe. Eco-Friendly food packaging. Bottom of box measures: 7-3/4x5-1/2". Complies with FDA regulations for food packaging. Made in the USA. Estimated capacity: 96 fl oz. 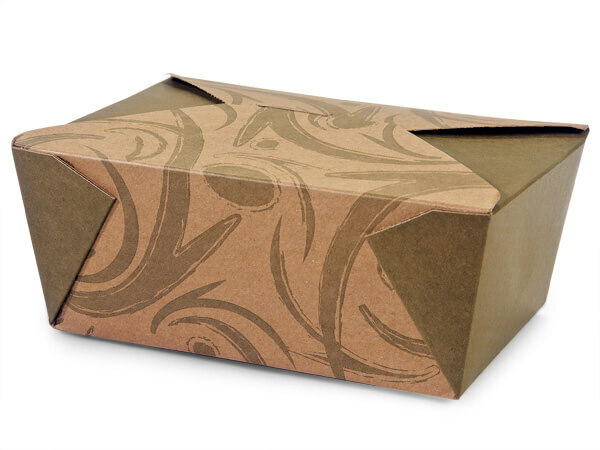 Our 100% recycled Bio-Plus Earth Take-Out Boxes require no assembly and offer an upscale look for food on the go. They have a poly liner for leak and grease resistance and can hold all types of food whether it is hot, cold, wet or dry. Bio-Plus Earth food containers retain heat and vents steam, helping to keep food fresh. Complies with FDA regulations for food packaging.